Novelist, one of the best-selling and most widely read authors today. His work has been translated into 23 languages including English, German and Spanish. 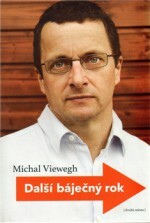 He is the recipient of the Jiří Orten Award (1993) and the Magnesia Litera Readers’ award (2005). He was born in Prague on 31 March 1962. 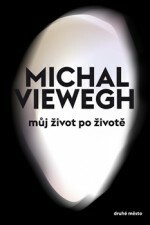 It is high time the successor to Milan Kundera’s throne was declared – and it can be no other than Michal Viewegh. 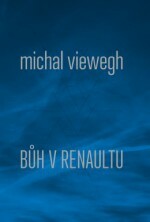 Viewegh achieves a symbiosis of the substantial, the important and the entertaining. His books are intelligent yet easy to read; they are comprehensive yet simple. He graduated from the College of Education, taught for a short while and then worked as an editor at a publishing firm. He has been a freelance writer since 1995. 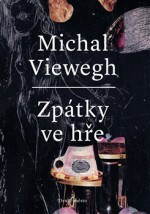 He made his literary debut with Názory na vraždu (Opinions on a Murder, Československý spisovatel, 1990), and then made his breakthrough with the autobiographical novel Báječná léta pod psa (Bliss Was it in Bohemia, 1992) about the period of Normalization in Czechoslovakia. 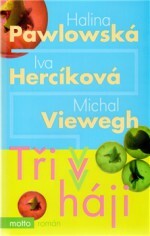 The main character, the author’s alter ego Kvido, describes his birth in a theatre, his childhood, love and how his family moved from Prague to Sázava, where they hoped to find some peace from the political machinations, but even here were unable to escape the security screening. “However, the capriciousness of the ‘blissful’ farce continues to poison the story of Kvido’s father, who was born ‘with high intelligence into lowly circumstances’ and could neither psychologically nor humanly bear the chain of subjugation which followed him after family circumstances forced him to compromise politically,” wrote Martin Pilař about the more tragic elements of the book in the Dictionary of Czech Prose. Báječná léta pod psa was not only widely acclaimed and republished many times, it was also made into a film by Petr Nikolaj (1997). 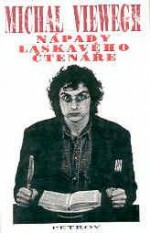 There then followed Nápady laskavého čtenáře (Thoughts of a Loving Reader, Petrov, 1993) based on amusing characters resembling Czech and international authors. 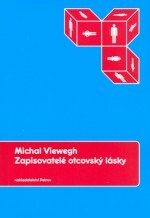 Nové nápady laskavého čtenáře (New Thoughts of a Loving Reader, Petrov, 2000) continued in a similar vein. 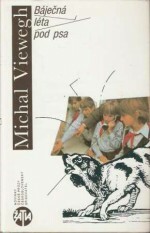 The novel Výchova dívek v Čechách (Bringing Up Girls in Bohemia, Československý spisovatel, 1994) tells the story of the relationship between a creative-writing teacher and his pupils from a well-to-do family. The book was made into a film by Petr Koliha soon after publication. There then followed the novel/situation comedy Účastníci zájezdu (Tourists on an Excursion, Petrov, 1996) about a random group of holiday makers who are brought together when they share a coach and then a hotel on the Adriatic. It was filmed by Jiří Vejdělek in 2006. Zapisovatelé otcovský lásky (Notes on Fatherly Love, Petrov, 1998) describes the relationships in the family of a high-ranking military officer. 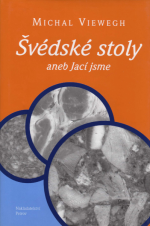 Román pro ženy (A Woman’s Novel, Petrov, 2001), again with a farcical overview, describes the (love) life of the main character, Laura, the editor of a magazine called Vyrovnaná žena (Balanced Woman), and that of her friends. 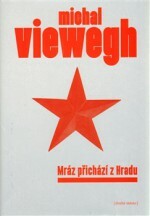 The book was made into a film by Filip Renč in 2004. Případ nevěrné Kláry (The Case of Unfaithful Clara, Petrov, 2003) describes what happens when a successful novelist hires a private detective to follow his unfaithful wife. The book was made into a film by Roberto Faenza in 2009. The melancholic farce Vybíjená (Dodgeball, Petrov, 2004) describes the lives of four former schoolmates from high school who are about to reach their forties. 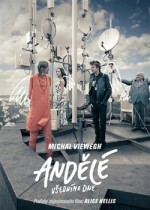 It was made into a film by Petr Nikolaj in 2014. 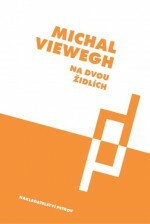 Developing some of the themes from Vybíjená, Román pro muže (A Man’s Novel, Druhé město, 2008) even garnered praised from the critics who normally accused Viewegh of being too accessible to a mass readership. 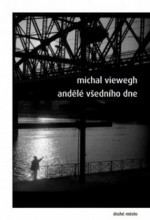 “With Viewegh it is necessary to recognise not only a great literary talent but also a certain circumspection. He knows his own strengths and weaknesses. The strengths – wit, a fine sense for everyday speech, the ability to capture a social atmosphere – he uses these brilliantly. His weaknesses – intricate plots, profound psychology of his characters, etc – he usually tries to avoid these. 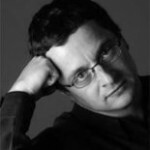 Román pro muže is an excellently constructed composition which Viewegh uses to tell a relatively straightforward story,” wrote Ladislav Nagy about the book in the weekly magazine Týden. 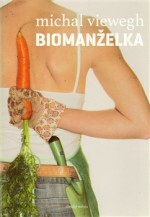 Biomanželka (Eco-Wife, Druhé město, 2010) describes living with a health-obsessed woman, again in the form of farcical situations. The female narrator is a doula who is also dissatisfied, though, naturally, she is capable of wonderful descriptions of family life with Mojmír and Hedvika. 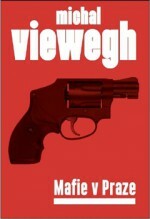 The novel Mafie v Praze (The Mafia in Prague, Petrov, 2011) is a literary thriller which Viewegh wrote with the investigative journalist Jaroslav Kmenta. In her review for Reflex magazine Kateřina Kadlecová wrote, “I believe this to be one of his best books. When writing it the author had in mind those of us who devour Dan Brown and are able to compromise slightly in relation to the standards set by established authors from the hard school, and then he had in mind those of us who are interested in the Czech political-mafia scene, and of course also for those of us who, like the author, have long been outraged by the ugly practices of the “lords on high”, by police work and by the political machinations which catapult the Czech Republic far beyond the Urals.” The follow-up, Mráz přichází z Hradu (The Big Freeze from Prague Castle, Druhé město, 2012), failed to receive such acclaim. 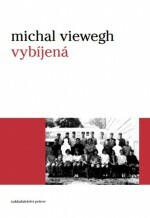 Viewegh has also written two books of feuilletons called Švédské stoly (Banquets, Petrov, 2000) and Na dvou židlích (On Two Chairs, Petrov, 2003), the diary Báječný rok (A Wonderful Year, Petrov, 2005) and Další báječný rok (Another Wonderful Year, Druhé město, 2011). 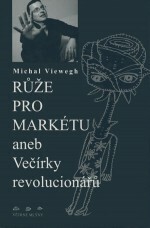 He also wrote Krátké pohádky pro unavené rodiče (Short Fairy Tales for Tired Parents, Druhé město, 2007) and the play Růže pro Markétu (A Rose for Markéta, Větrné mlýny, 2004). He has had several short-story books published, and many of his books have been made into films, often with his cooperation as scriptwriter.